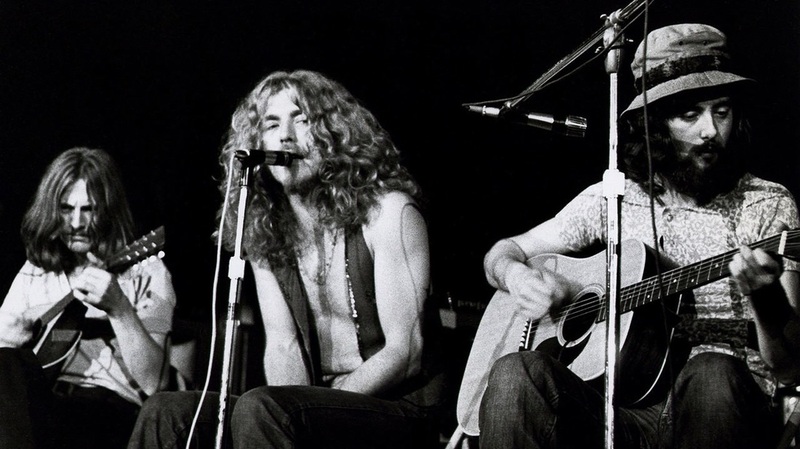 ​An acoustic/electric guitar lesson on how to play "The Rain Song" by Led Zeppelin. This is another real classic Led Zeppelin track from the "Houses of the Holy" album released way back in 1973. Once you figure out the tuning, it's not too difficult to play and it sounds really nice with all the open strings. I go over in detail both the electric and acoustic parts for this one. There is some duplication in the two parts. The bulk of the tutorial is the acoustic part, but there are some cool licks in the electric part as well. If you play this by yourself, you'll probably wind up combining the two parts together. "George Harrison was talking to Bonzo one evening and said, 'The problem with you guys is that you never do ballads.' I said, 'I'll give him a ballad,' and I wrote 'Rain Song,' which appears on House of the Holy. In fact, you'll notice I even quote 'Something' in the song's first two chords."